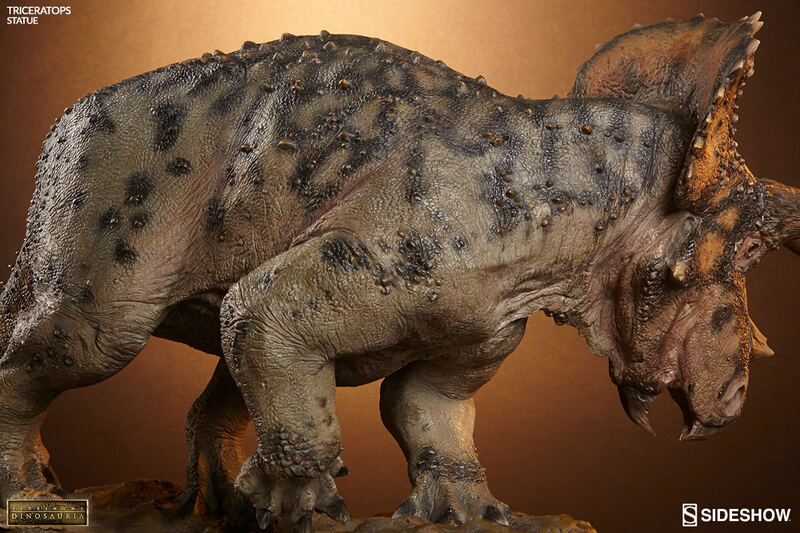 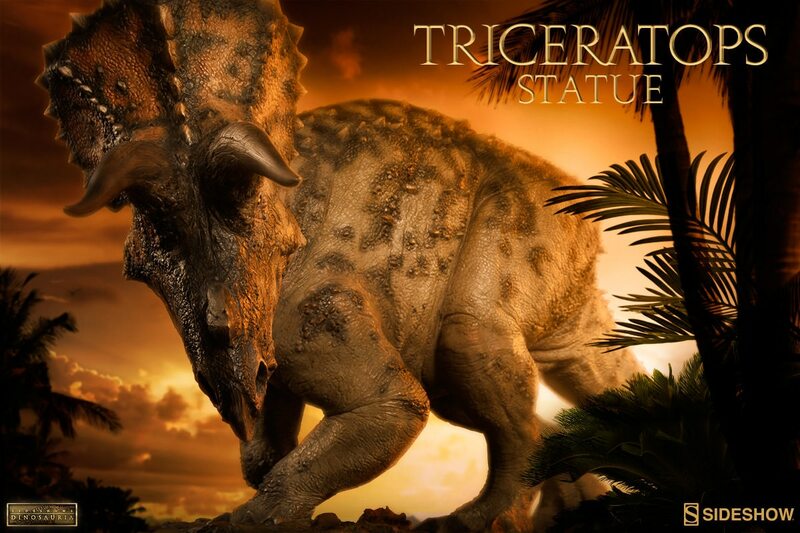 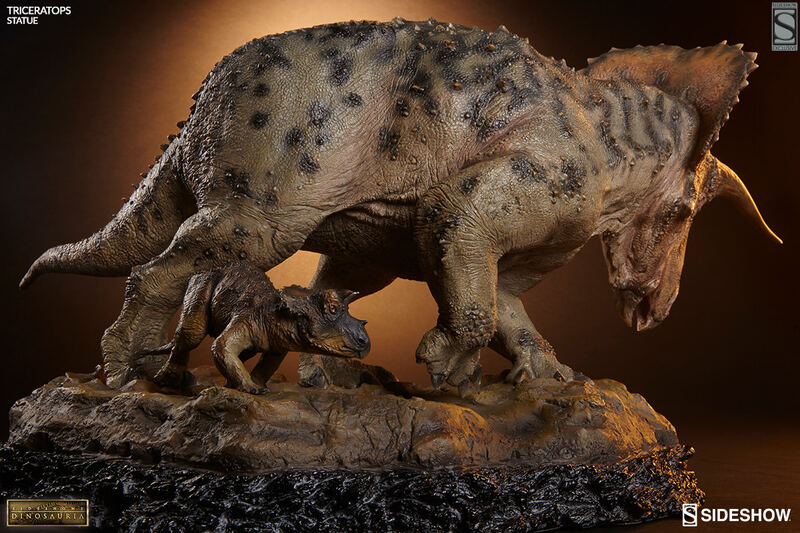 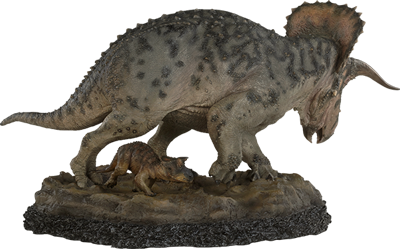 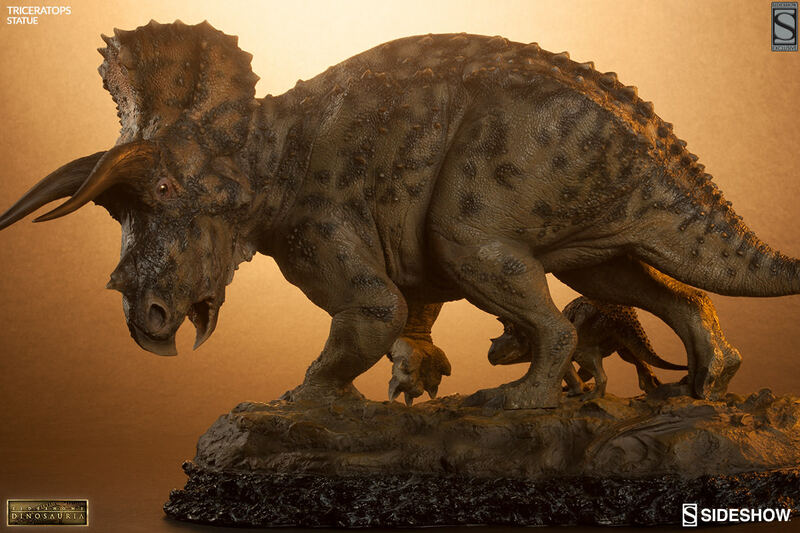 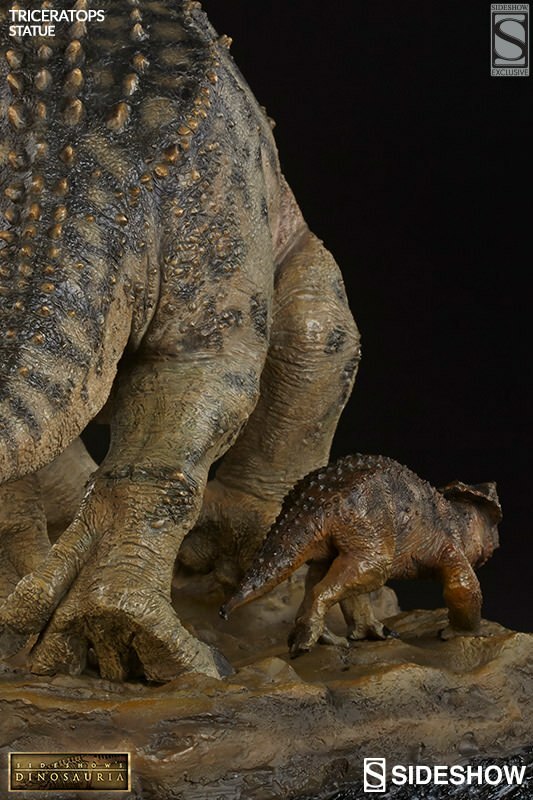 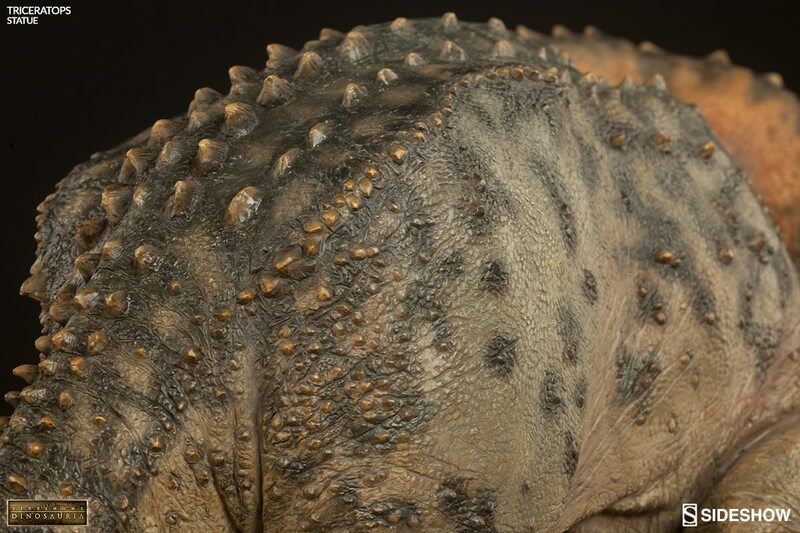 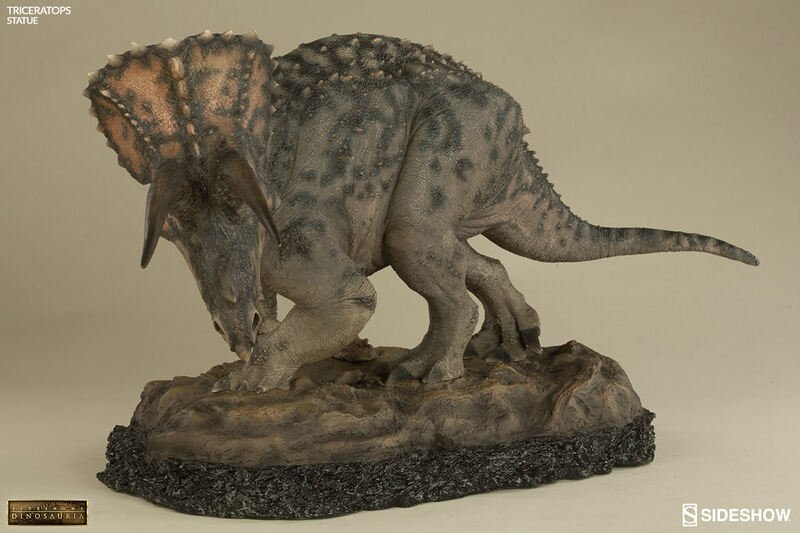 Sideshow Collectibles is proud to bring you the latest addition to our acclaimed Dinosauria collection, the Triceratops Statue. 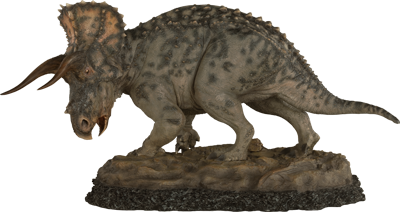 With a name that means "three-horned face", Triceratops is one of the most famous dinosaurs, and one of the last ever to walk the Earth. Thought to have been hunted by the Tyrannosaurus Rex, the massive barrel-ribbed herbivore used its spectacular brow horns and broad curving neck frill to protect itself from predators. 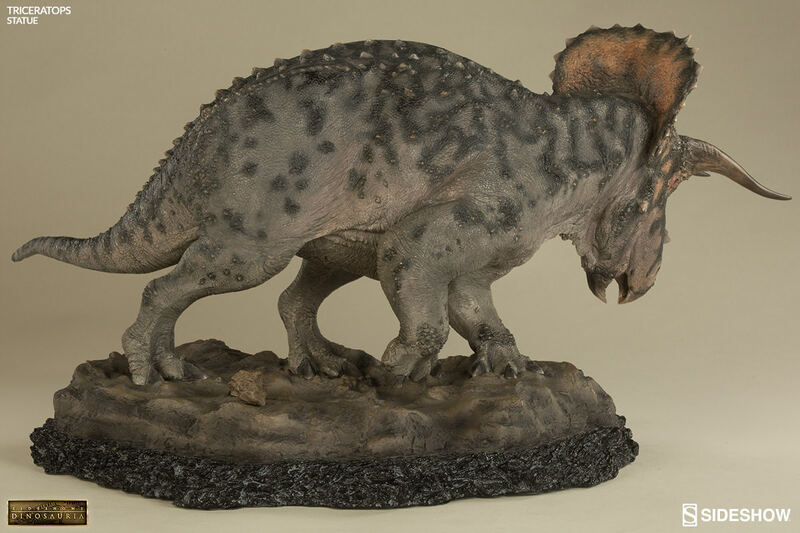 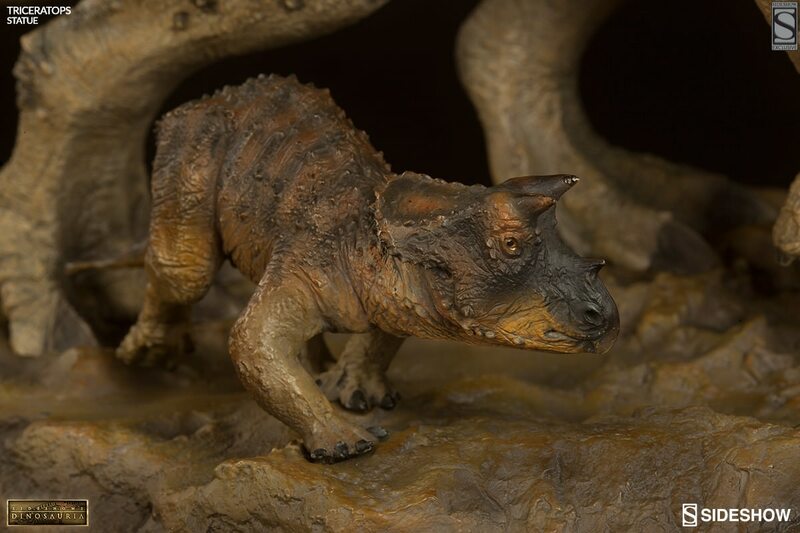 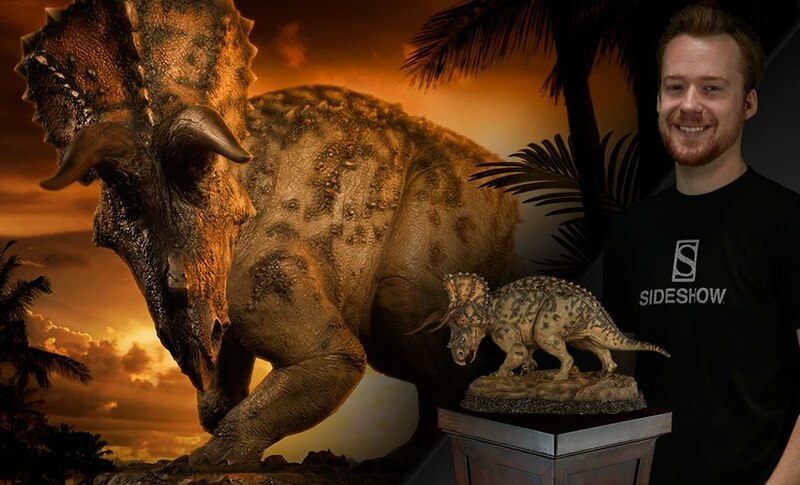 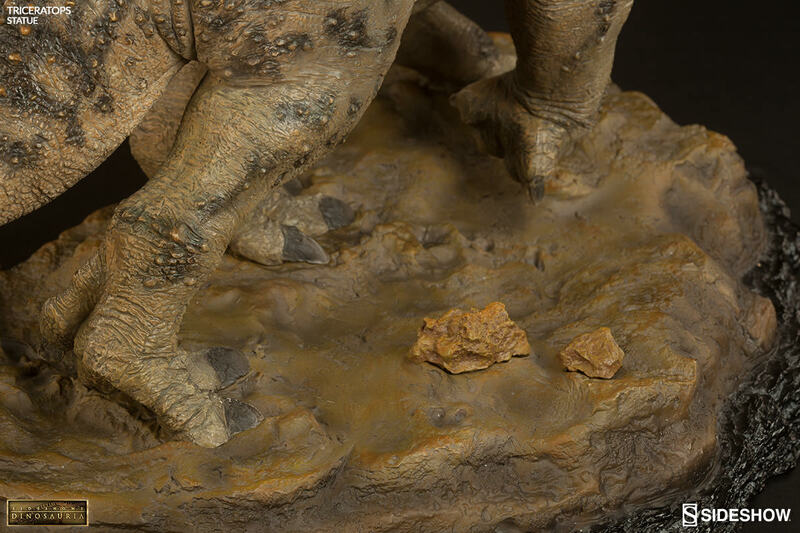 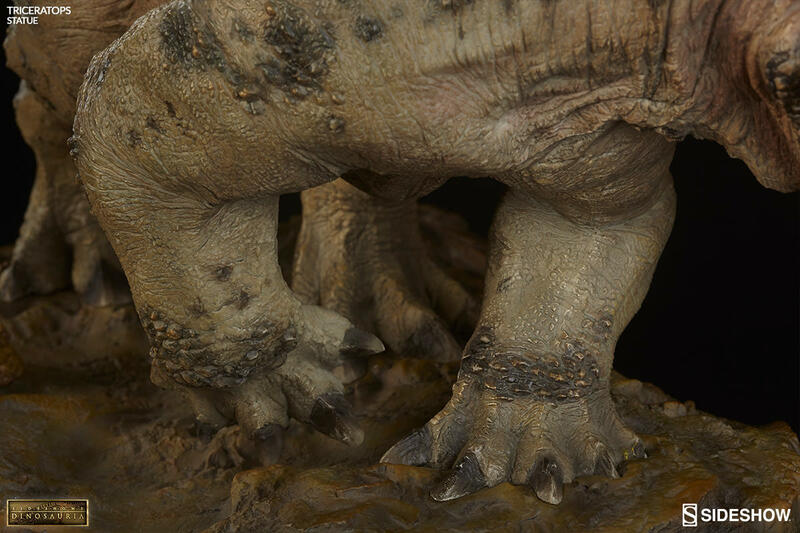 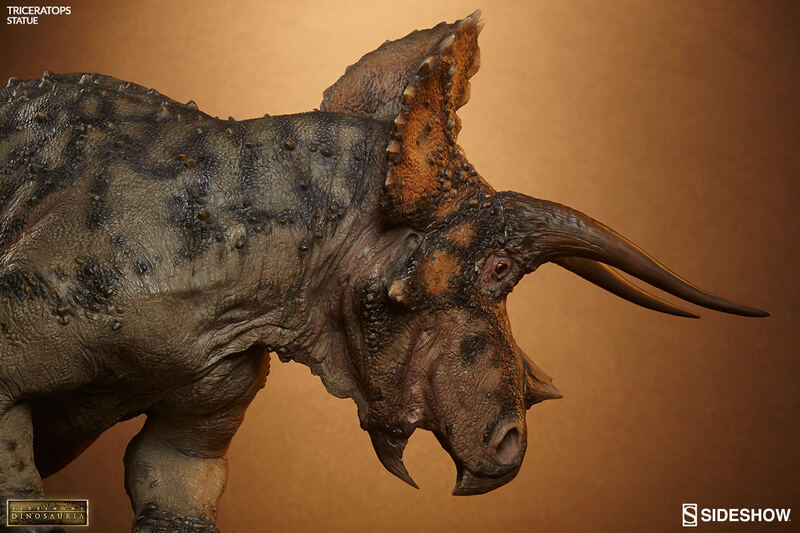 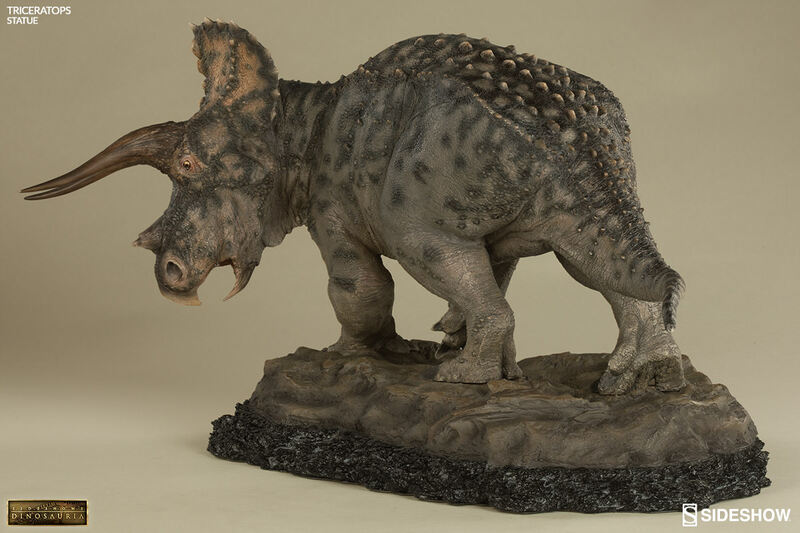 Designed with the insight of renowned paleoartists, Sideshow's artists have captured the magnitude and grace of the Triceratops with impressive realism. 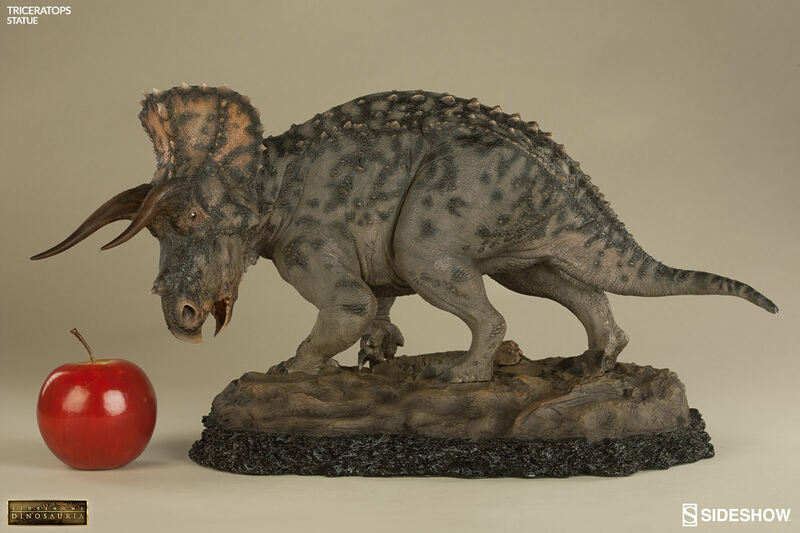 Cast in polystone on a themed base, this museum quality piece is guaranteed to capture the imagination of dinosaur enthusiasts. 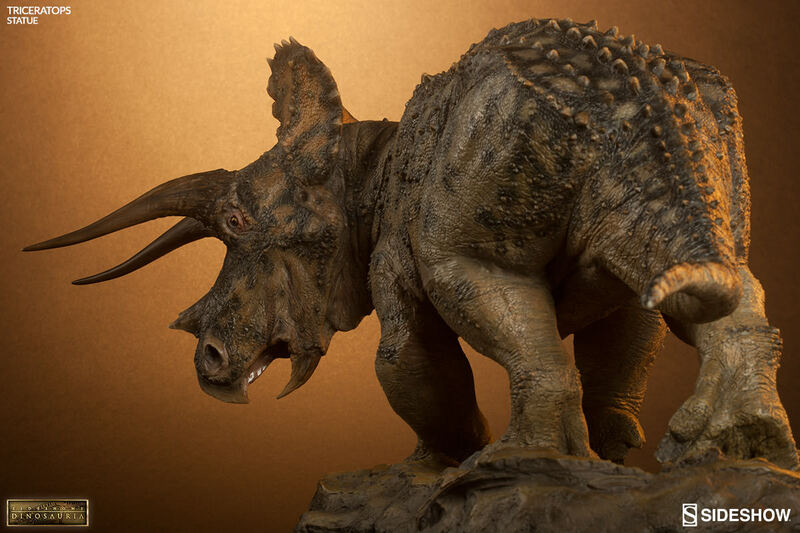 With a name that means “three-horned face”, Triceratops is one of the most famous dinosaurs, and one of the last ever to walk the Earth. 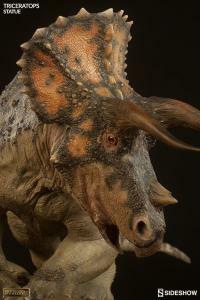 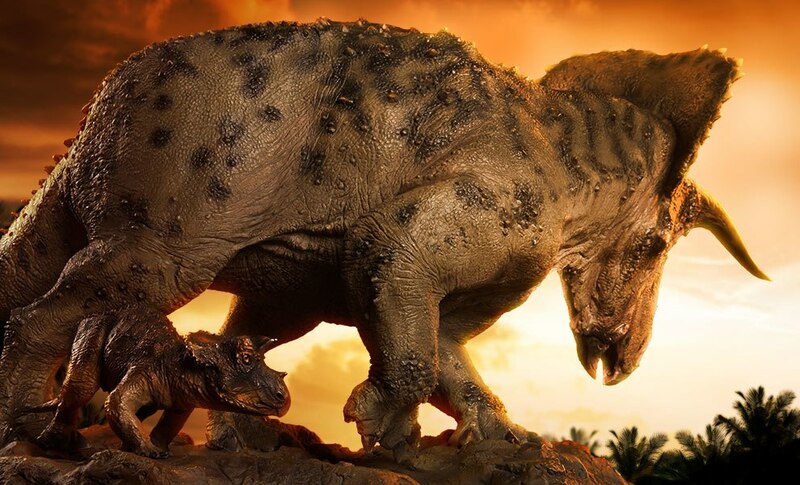 Thought to have been hunted by the Tyrannosaurus Rex, the massive barrel-ribbed herbivore used its spectacular brow horns and broad curving neck frill to protect itself from predators. 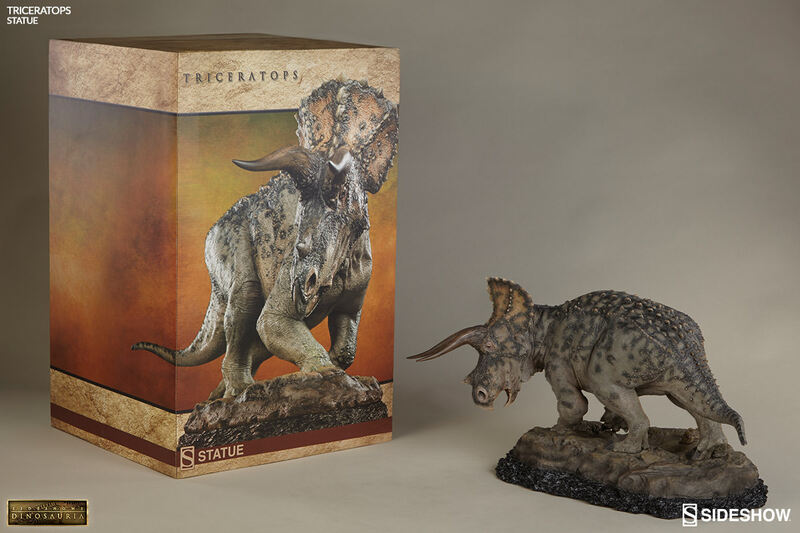 Designed with the insight of renowned paleoartists, Sideshow’s artists have captured the magnitude and grace of the Triceratops as it travels with its young. 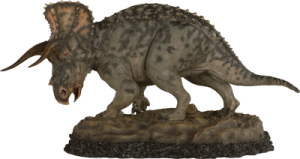 Cast in polystone on a themed base, this museum quality piece is guaranteed to capture the imagination of dinosaur enthusiasts.